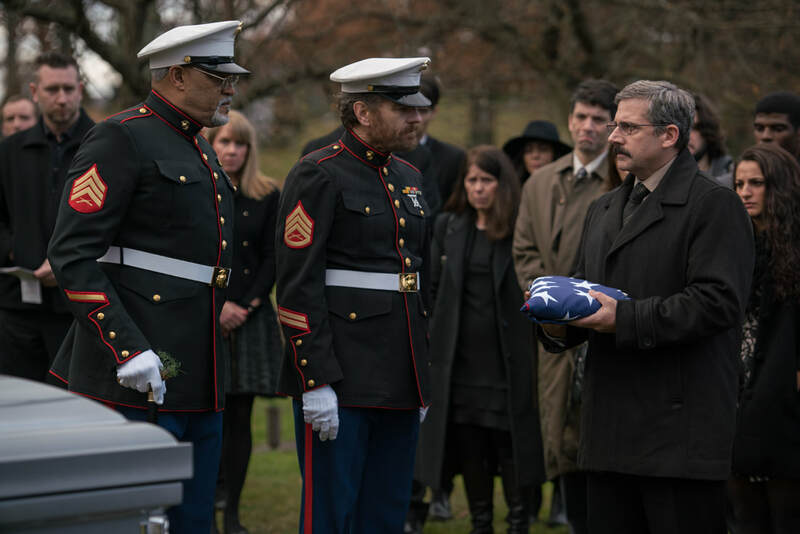 A movie review of ​LAST FLAG FLYING. A pseudo-sequel to THE LAST DETAIL, a counterculture high point of the 1970s, seemed a bold move. If anyone could do it justice surely it is director Richard Linklater, who made one of the greatest second chapters in cinema, BEFORE SUNRISE? 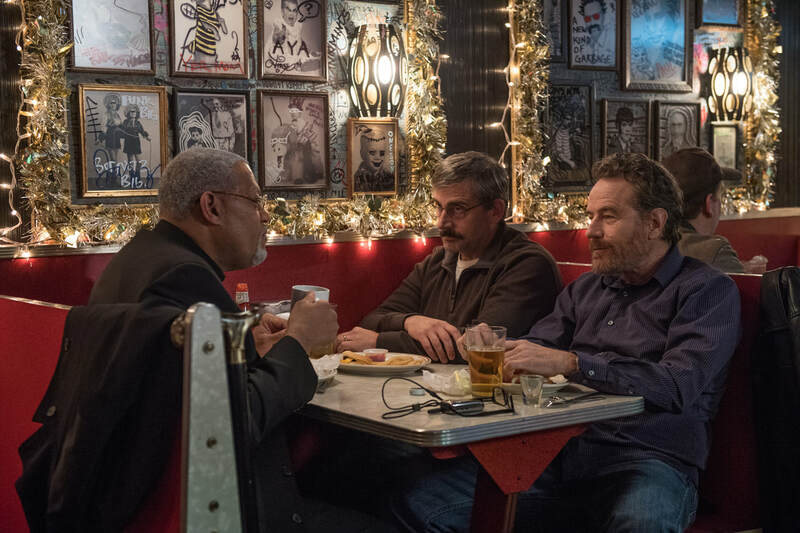 LAST FLAG FLYING is my first Linklater disappointment. Mawkishness and annoying characters dampen political bite. Simplistic. Trite. These are not words one thought to ever associate with the indie maestro. There are slivers of pleasure to be had, but they are fleeting. 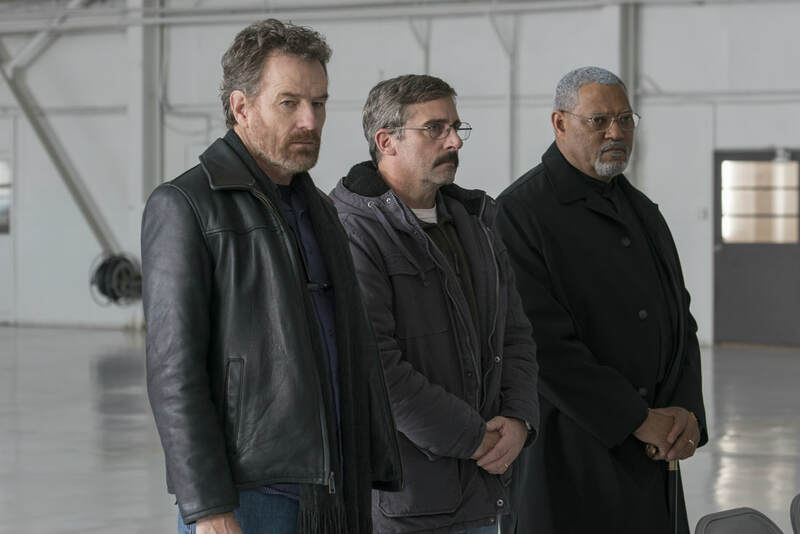 A road movie in the company of Bryan Cranston and Laurence Fishburne, even when not on form (thanks to weak dialogue and characterisation), is still sporadically watchable. The production notes suggest that this is not a sequel, but there are too many similarities to the 1973 film. That we need a debate on its genus is problematic. Name alterations and a change to how the three became a gang within the military are not enough to shake the nagging echoes. Why not change everything, or just make it a proper follow-up? When knowing too much about another movie lessens the enjoyment/respect for a project, is that not a sign of struggling quality? THE LAST DETAIL is a criticism of Vietnam War military culture particularly, and societal conservatism generally. The latter is a shared target of EASY RIDER (1969). Randy Quaid’s Meadows is a teenager sentenced to eight years in the brig for attempting to steal $40. So-called military justice is angrily put on trial by the filmmakers. 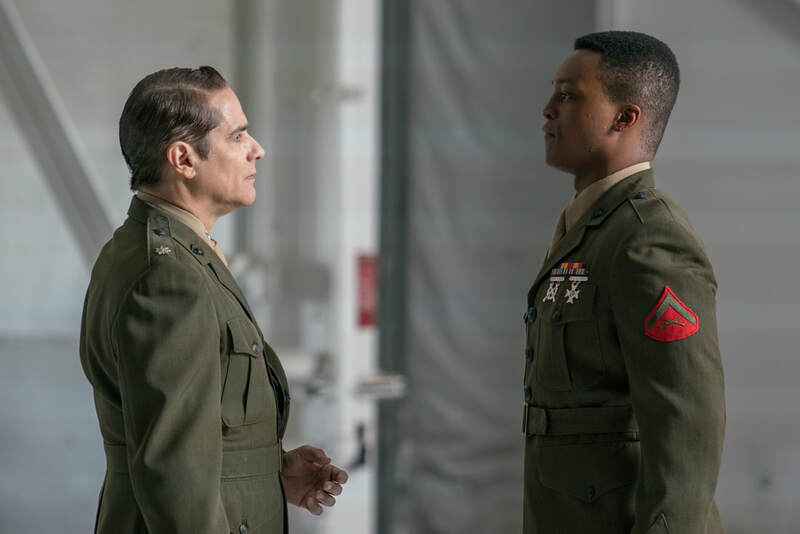 In LAST FLAG FLYING, it is many years since Larry Shepherd (Carell) was released for an unnamed infraction. Why not just stick to the original? The film might have succeeded as both a self-contained work and a narrative continuation. As is, it does not satisfy as either. 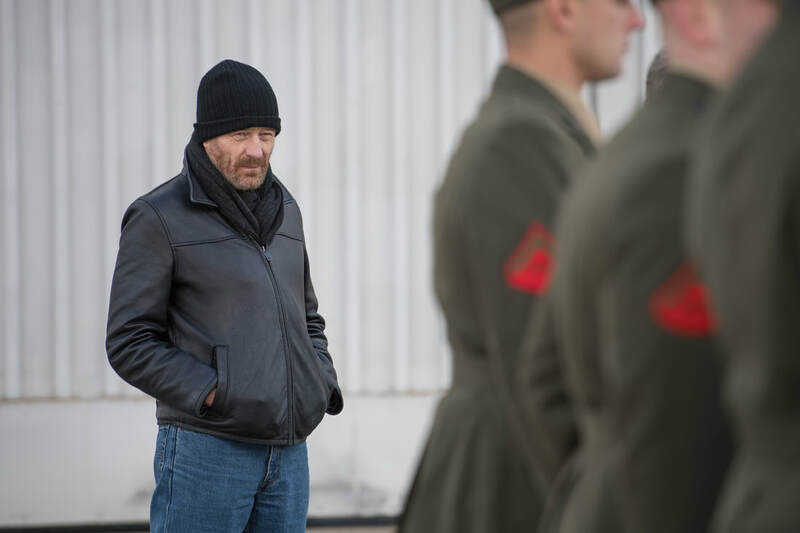 ​2003, decades on since their previous contact, Shepherd wants old pals Sal Nealon (Cranston) and Richard Mueller (Fishburne) to help him bury his son who has died in the Iraq War. In depth commentary on the conflict and its aftermath are sorely lacking. We get some forced camaraderie and one-note personalities. 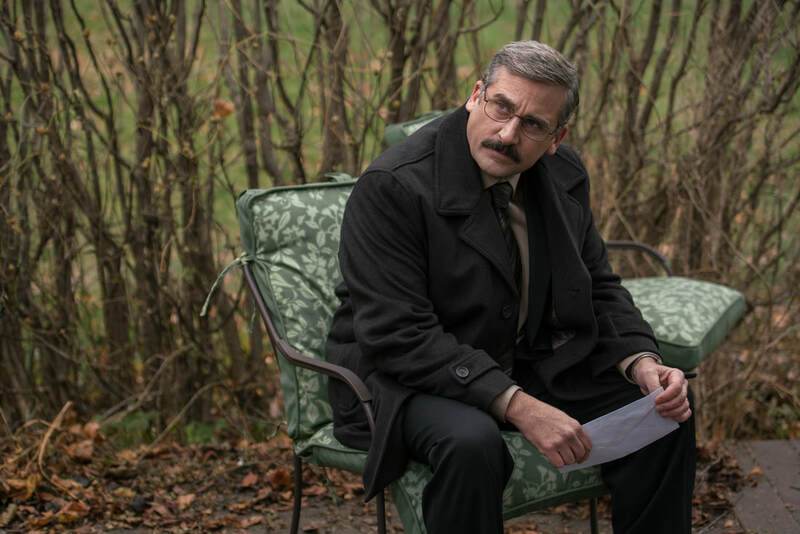 Carell plays his usual dramatic sad sack. Cranston is gratingly over the top rebellious. 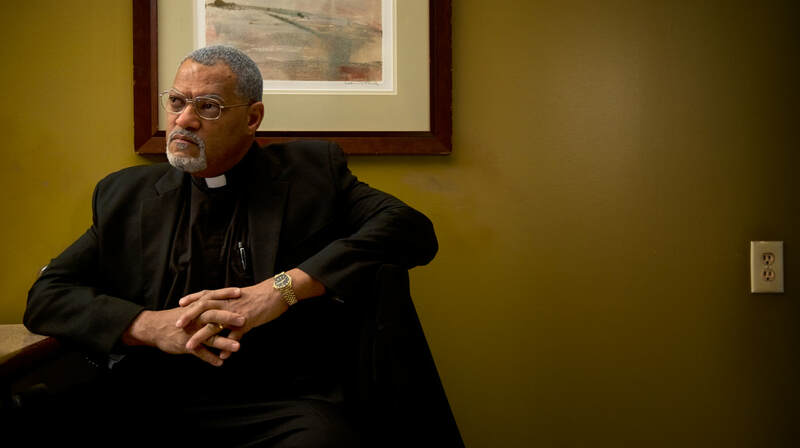 Fishburne is allotted buttoned-down, whose continuous reluctance gets tired quickly. Those close to retirement learn some sentimental life lessons. Everyone gets an unimaginative character arc. Where is the Linklater of BEFORE MIDNIGHT and BOYHOOD?